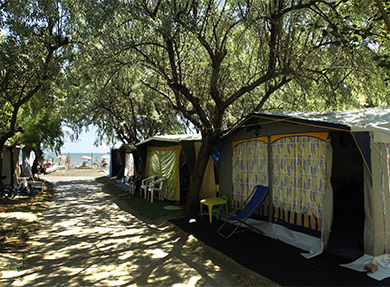 The Villaggio Gilda camp site lies right on the sea, and the back gate opens straight out onto our private beach with its fine sands. 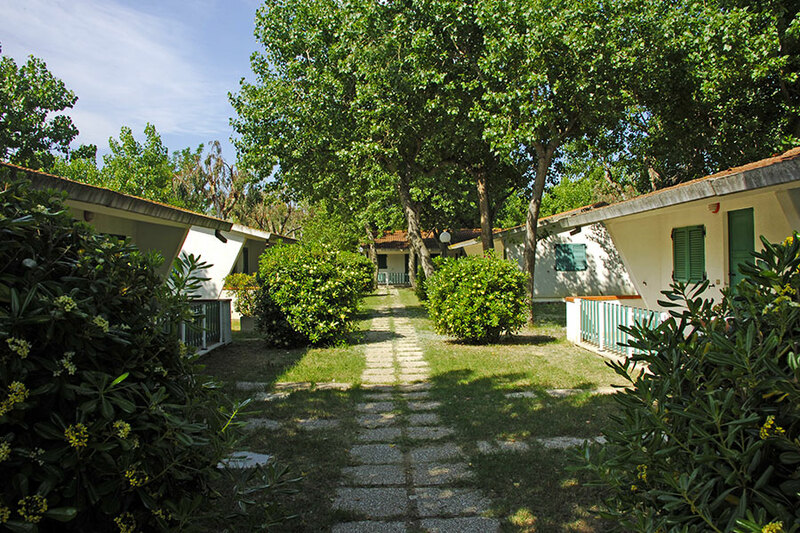 The brickwork bungalows are in a quiet, restricted area, just a stone’s throw from the beach and the sea, and are equipped with everything you might need (crockery, cutlery etc.) for a totally independent and comfortable stay. 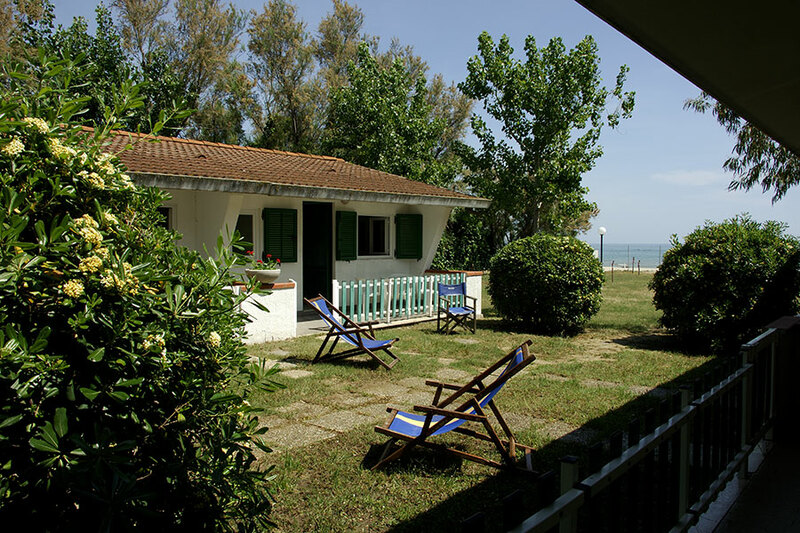 Each bungalow has its own porch with table and chairs, and lovely views over the surrounding greenery and the beautiful colours of the sea. People with disabilities are well-catered for, with all of the areas in our village being wheelchair-accessible. 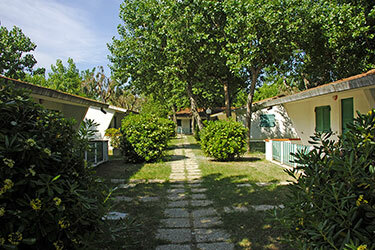 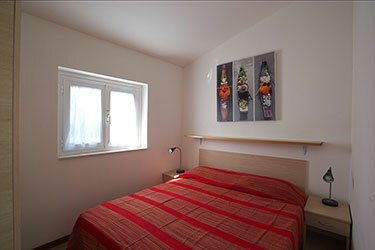 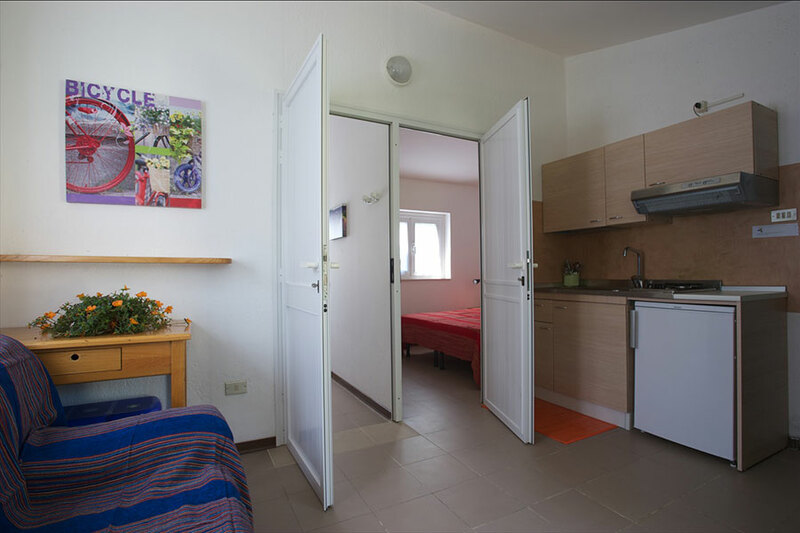 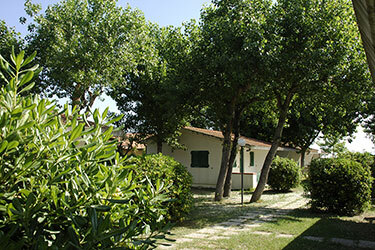 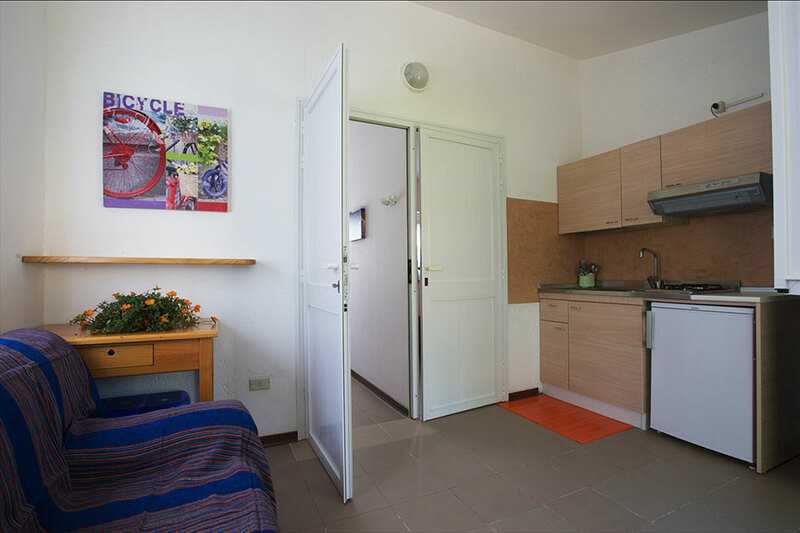 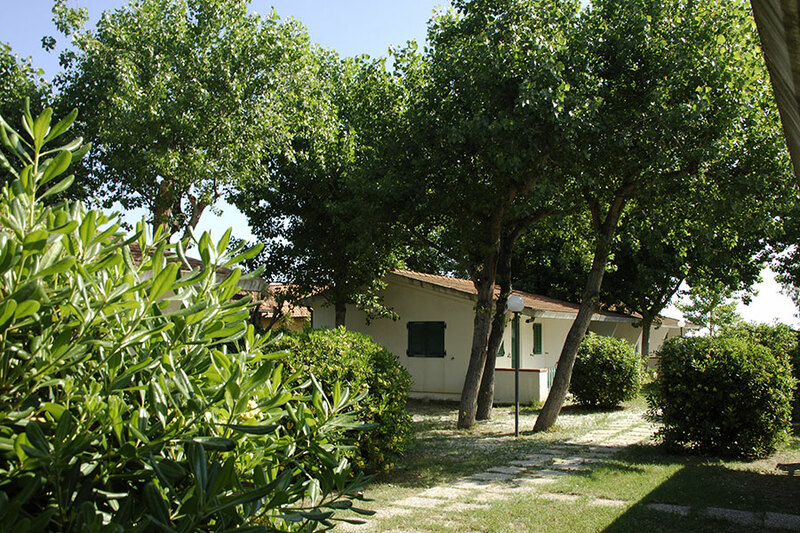 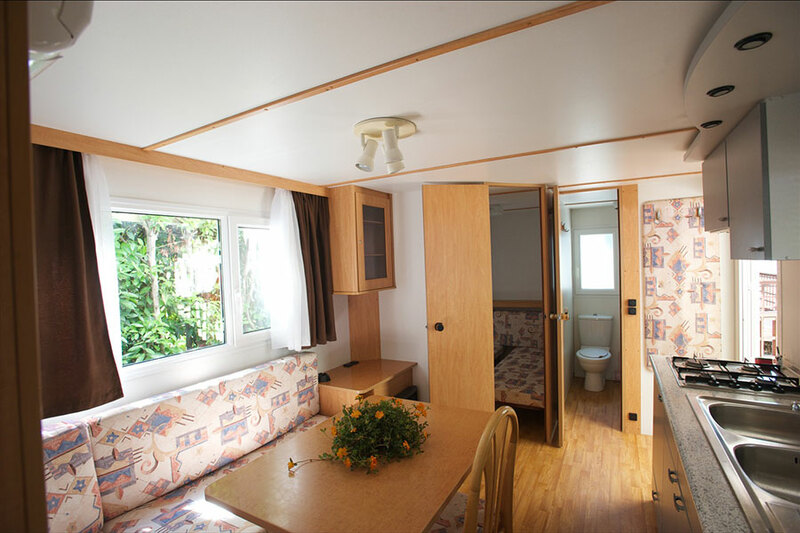 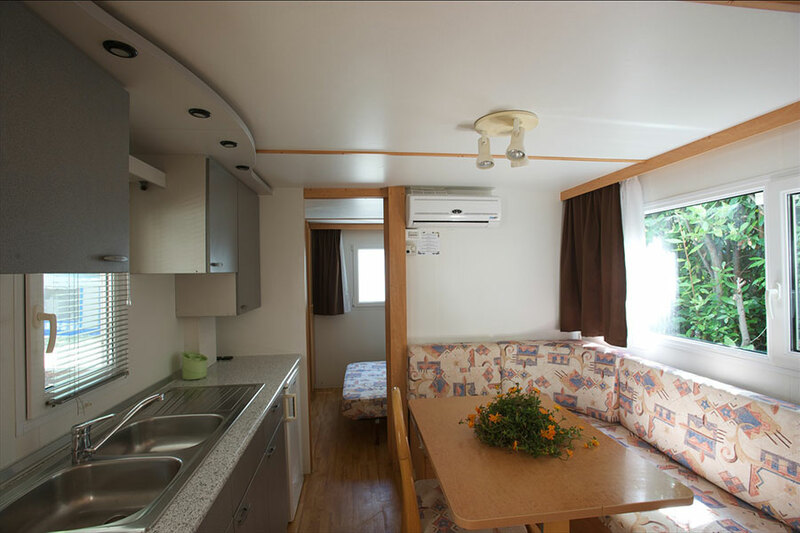 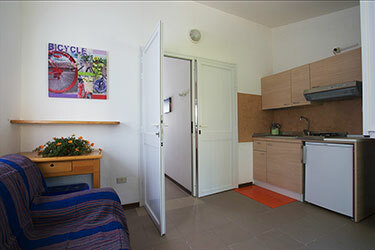 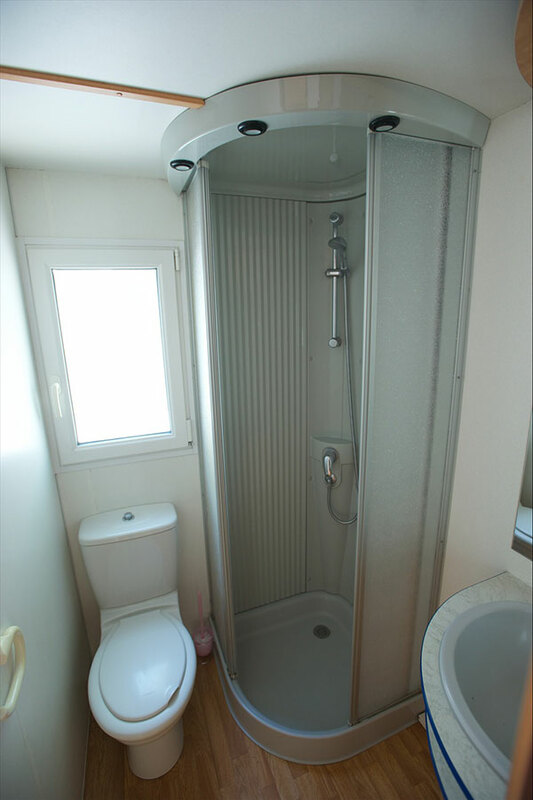 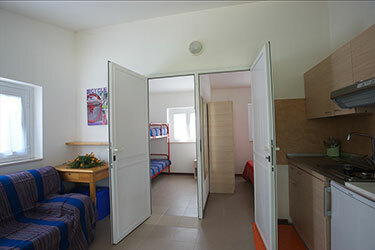 The mobile homes are very comfortably furnished with fully-equipped kitchens, and are near the Piazzetta, a short distance from the beach and the sea. 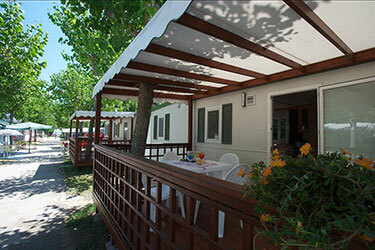 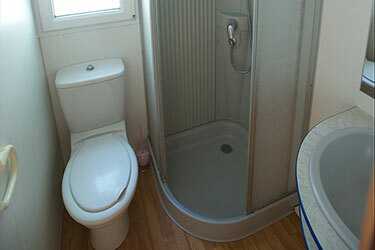 Each mobile home has its own porch with table and chairs, the perfect place to enjoy the pleasures of the open air. 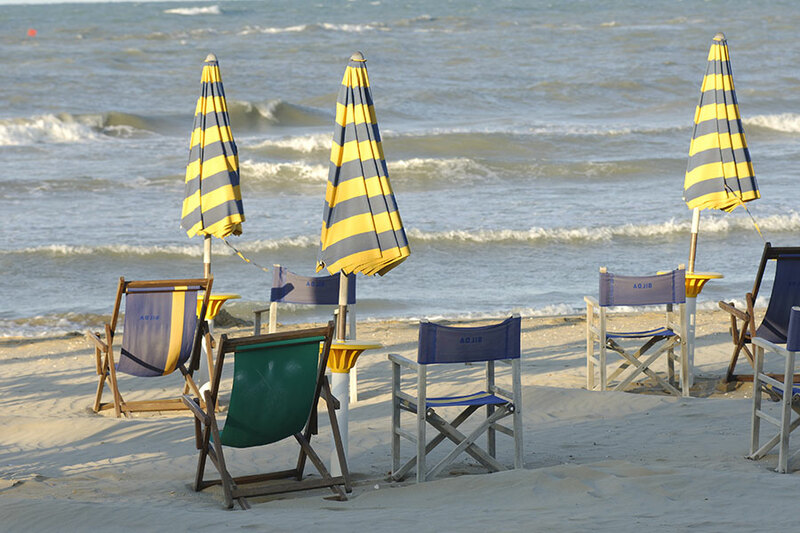 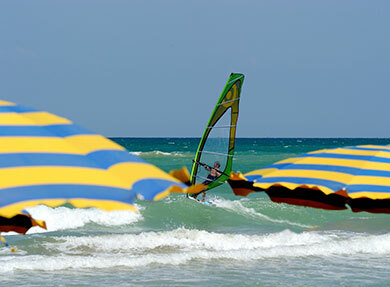 Beach services, with exclusive umbrellas and deck-chairs, are available to guests staying in either type of housing unit. There is also a reserved parking space. 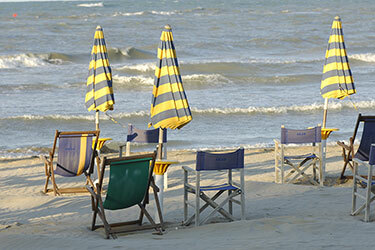 Private night security guards ensure peace and safety. 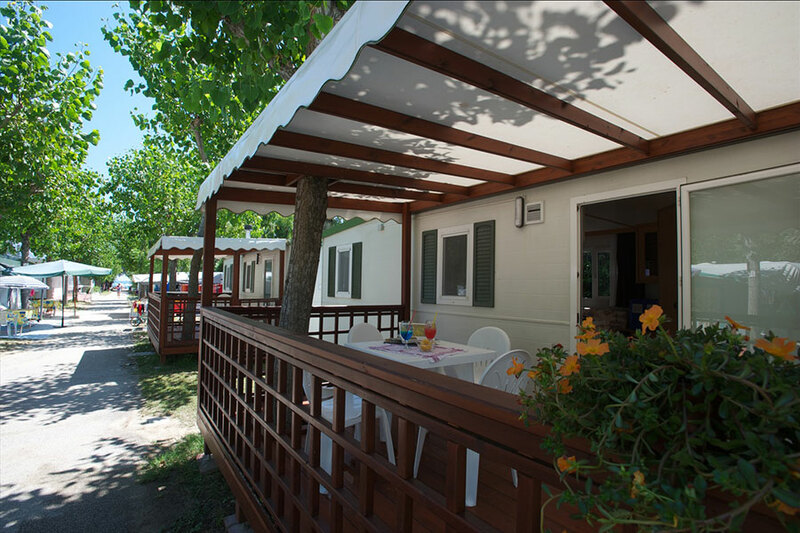 Our Restaurant/Pizzeria, with its fresh seafood and typical Abruzzo cuisine, offers full board, half board and take-away meals, or of course may choose to have lunch and dinner served at one of the tables. 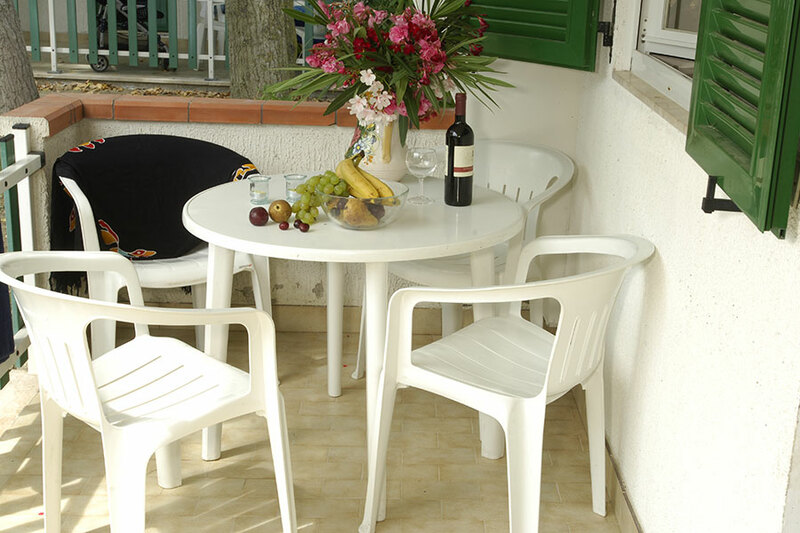 Our bars, one of which is right on the sea, are an ideal place for just hanging out and enjoying the excellent drinks and snacks in excellent company. 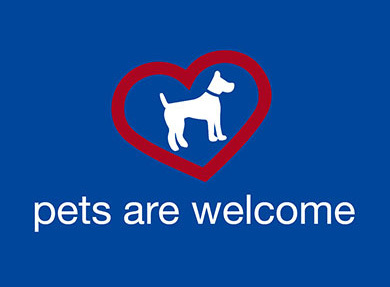 Making all of our guests welcome and feeling looked after – that’s our main priority!